Bad data costs U.S. businesses an estimated $3.1 trillion each year. 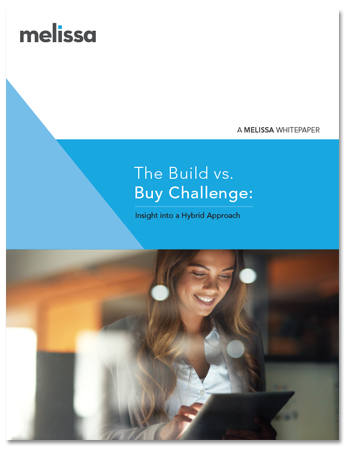 It can waste time and resources, increase fraud and decrease brand value, to name a few. 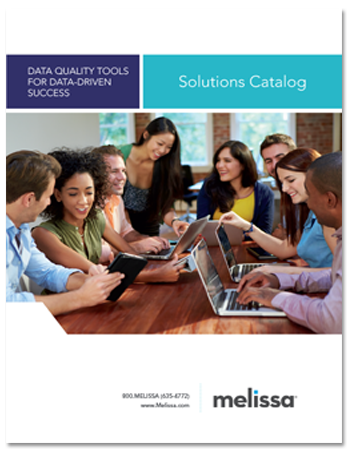 Melissa’s new Solutions Catalog shares a wealth of information on our industry leading data quality and identity verification solutions. Explore how to implement a healthy data lifecycle from address, name, phone and email verification, to point-of-entry identity verification to deduping – everything you need to prevent the pitfalls of bad data and its negative impact to your business. Verify and cleanse contact data at point-of-entry for increased fraud prevention. Deduplicate data to provide a clear 360-view of customers. Enrich data for greater insights, richer engagement and better targeted marketing.